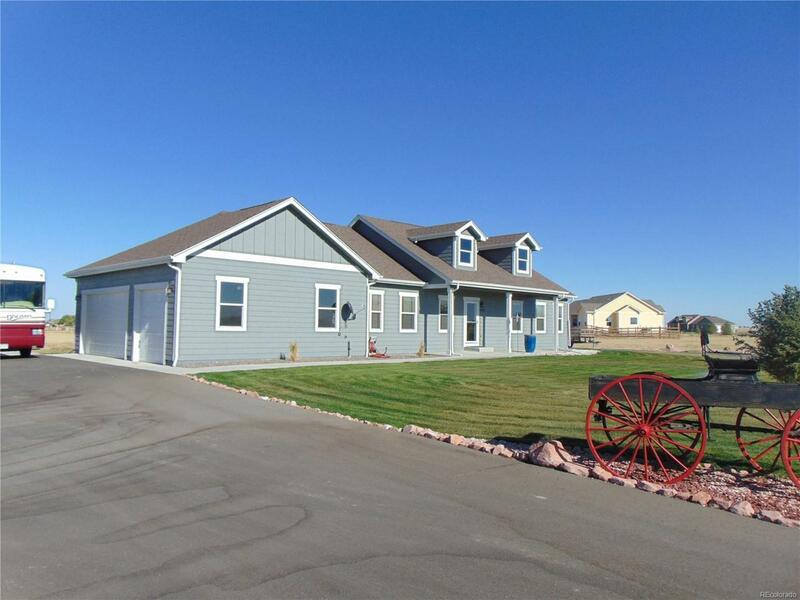 Beautiful New Ranch on 2.31 Acres. Professionally landscaped with sprinkler system Built in 2017. Main Floor Master w/5 Piece Master Bath. Walk through Closet to master and laundry. Vaulted Ceilings. Gas Fire Place. Hard wood floors and new upgraded carpet. Extra Tall Kitchen Cabinets w/Granite Counter tops. New Custom blinds. Large Pantry with Glass door. 50 gal hot water heater. Huge 40 x 70 RV Parking Garage with 50 amp Electric for motorhome.